A bad sales presentation can feel a lot like that. So how do salespeople avoid this scenario? 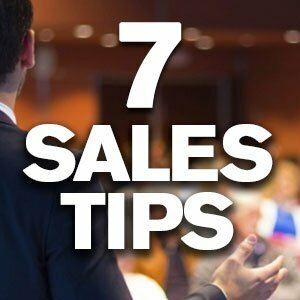 Below are seven steps to get sales reps heading towards a perfect presentation. We can’t promise you’ll win an Oscar, but these tips will help you to leave your audience wanting more. Research, research, and then research some more. By spending time digging into the prospect’s situation in advance, sales reps can determine the necessary information to shape their presentation. Learn the basics during this phase such as which stakeholders are involved in the buying decision, as well as critical information like long-term goals and potential pain points. Focus on specific pain points. A sales presentation is meant to show the prospect how a given product can solve a specific pain point and turn it into a strength. While it’s great if reps are able to showcase their past success with other companies through testimonials and case studies, how can they specifically help the prospect in front of them? Use terms the audience is familiar with. When a sales rep uses the same words and terms as their prospect, the prospect can more easily engage with the content. Instead of tossing around business jargon the potential buyer might not be familiar with, using similar language can prevent confusion and allow the sales rep to position the product in the most favorable light. Emphasize three to four benefits. Focusing on a few key benefits will allow the prospect to understand the product or service’s potential without crossing the line into information overload. For instance, if a prospect is working on improving how they onboard new hires, playing up the social media features of a product won’t resonate. Don’t sell — educate. If a rep can focus on educating their prospects about the benefits of their offering (as opposed to persuading or resorting to other hard sales tactics), the prospect can decide whether or not it’s right for them. Persuading a prospect that they desperately need this product when they don’t might result in a churned customer down the road — and a lackluster reputation. Mind the visuals. According to studies, a majority of people learn best through visuals. This means having a presentation full of clear visuals can make the prospect more likely to retain the information. Not exactly a graphic designer? Download a collection of free PowerPoint templates here. Tell the prospect’s story. Studies have found that when people consume media — whether it’s in the form of a video or a story — they feel as if what they are watching or hearing is actually happening to them. With this in mind, salespeople would be wise to include stories in their presentations. By telling the story of the prospect’s journey and how they stand to benefit by purchasing the product, the audience can see themselves living this reality. FREE 1:1 PRESENTATION ASSESSMENT: Take your pitch to the next step! SBDC experts will provide a free one-to-one assessment — including a bonus critique of your actual presentation. Valued at $350 for a full half day, this will be offered at no charge to the first 15 respondees. Write to director@sbdcnj.com with “Help Me Sell From The Stage” in the subject line.